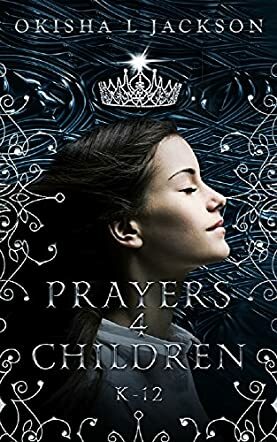 Prayers 4 Children: K-12 by Okisha L. Jackson is an uplifting collection of prayers for children that will help them understand the power, presence, and the unconditional love of God in their lives. The book is divided into sections - Elementary, Middle School, and High School - and the sections have prayers written to suit readers' needs and requirements. The book also gives readers an idea of what their role is on earth. Reading the prayers will give them a divine touch and guide them to excel and do well in all areas of life. The prayers will give children a better awareness of God and His role in their lives. The book is a gentle reminder to children about God, and the prayers are simple and easy for them to comprehend. They teach young readers how to open their hearts and ears so that they can hear God’s voice and messages. The author combines the prayers with words from the scriptures and the psalms, making the book insightful and profound. The formatting and layout of each section is different and that makes it easier for readers to know which section they are looking for. The prayers connect well not only with child readers, but will reach out to everyone from all walks of life. It is a good book to use for Bible classes as it not only encourages readers to pray, but will also help them understand the power of prayers. All the prayers have a unique message for readers and will touch them in different ways. This collection of prayers will ensure that God is always remembered at every step and stage of readers' lives.